Part No. 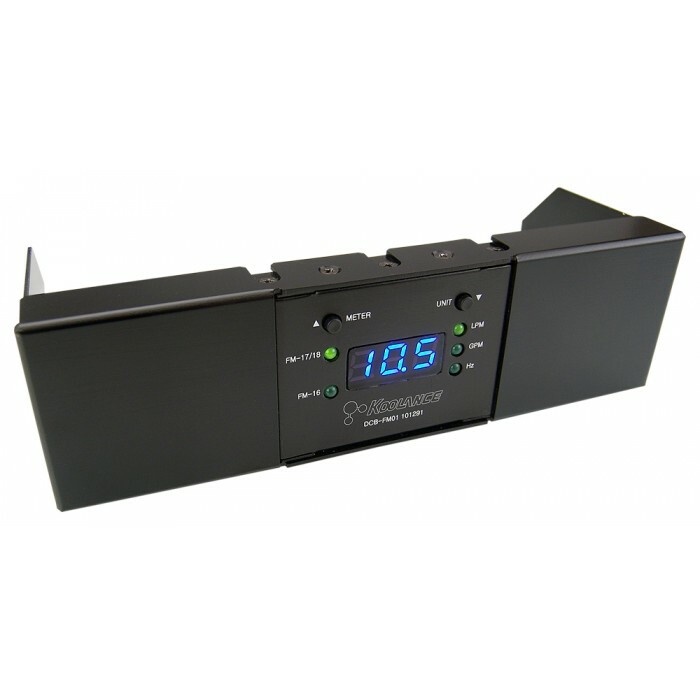 DCB-FM01 In Stock Fedex orders placed now will ship on April 19th. The DCB-FM01 displays flow rate or pulse signals from Koolance INS-FM16, INS-FM17N, INS-FM18, or INS-FM19 flow meters. Display units can be toggled between liters per minute, gallons per minute, or raw impeller pulse rate (Hz). 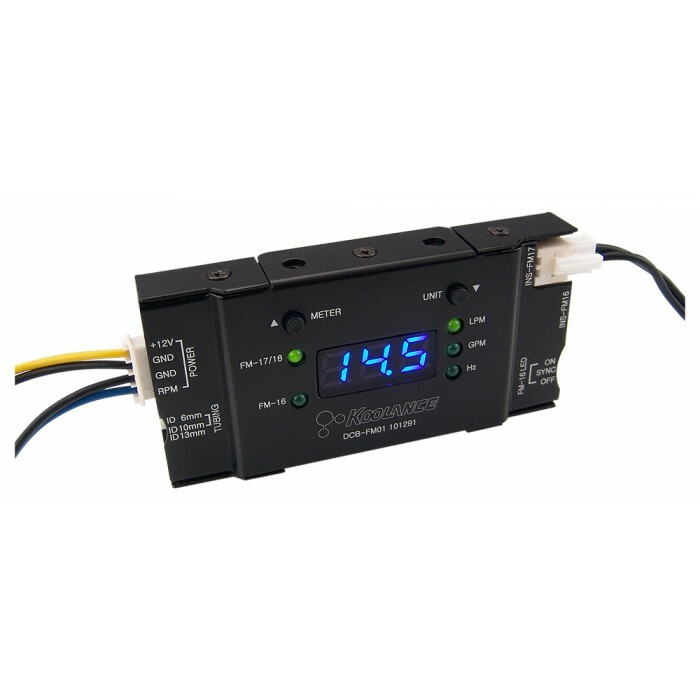 Pulse rate conversion can also be manually configured on the DCB-FM01 for custom flow meters. An aluminum mounting bracket is included for computer 5.25in drive bay installation. DCM-FM01 has a separate output, if used, which multiplies the flow meter signal for readability by most fan tachometer headers. This output is intended to allow fan detection software or BIOS to enable the appropriate alarm or shutdown procedure if the flow meter impeller stops rotating. The "RPMs" represent approximate coolant flow rate in mL/min and not the flow meter's revolutions. 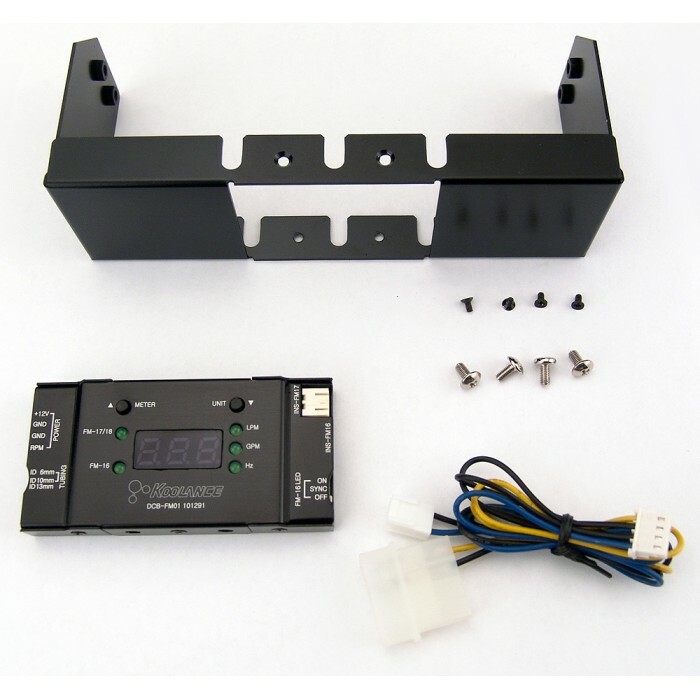 Power input is 12V DC.